Some assets, such as your home, appreciate over time. Other assets, including your car, depreciate. In fact, Edmunds.com estimates a new car loses 11% of its value the moment you drive it off the lot. After five years, the car is worth only 37% of the price you paid at the dealership. These figures are a little depressing, but doing your part today to repair and maintain your car will keep it valuable for a lot longer. Follow these tips from Investopedia to preserve your vehicle’s value in case you ever plan to sell it. 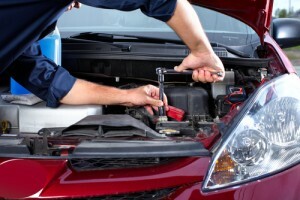 Change the oil (every 3,000 to 10,000 miles, depending on the car and driving conditions). Replace the filter (every 15,000 to 20,000 miles). Rotate the tires (Michelin recommends every six months or 6,000 to 8,000 miles). Have a multi-point inspection performed every time you have the oil changed to spot any problems in the early stages. Also, when you top off the oil between changes, make sure you use the type your manufacturer recommends. This keeps your warranty valid and helps improve gas mileage, which is another tip for preserving a vehicle’s value. According to the US Department of Transportation, average annual mileage is about 13,500. Try to keep your mileage under this amount to prevent further depreciating your car’s value. Hold onto receipts for all repairs and maintenance you have done on your car. When it’s time to sell, you have paperwork to show prospective buyers that you took care of the vehicle. Even if you don’t keep perfect records, your vehicle identification number (VIN) is all you need to look up your car’s history. To find your VIN, open the driver’s side door and look at the sticker in the door jamb. This is most often where the VIN is printed. The number should also be listed on your vehicle license renewal card. Armed with your VIN, navigate to CARFAX.com and enter the number. It costs a small fee to view your report, but it’s important to check information about changes of ownership, accidents, maintenance and more for accuracy before you sell your vehicle. If you’re in an accident, file an insurance claim without delay and use the money to repair exterior damage. Not only does this prevent rust and other problems from developing, but it shows up on your VIN report, proving your responsiveness to potential buyers. Also, make it a priority to prevent dents and scratches. They may be purely cosmetic, but they make a bad first impression and decrease resale value. If you have the option to park in the garage, do so. Excessive sun can fade your car’s exterior and extreme cold can wreak havoc on engine components. Do what you can to keep the paint in good condition, too, including periodically waxing your car to help protect from chips, scratches and fading. Avoid eating, drinking and smoking in your car. Spills, stains and unpleasant odors can ruin the interior and lower your car’s value. About yearly, detail your car’s interior, including vacuuming all surfaces, dusting the dashboard and shampooing the carpet. You might be drawn to a new, expensive stereo or navigation system, but these after-market products don’t necessarily increase your vehicle’s resale value. If you know you’ll be selling your car, consider practical add-ons, such as an mp3 connector or bed liner for your truck. It’s easy to neglect issues when the engine still runs, but by addressing small problems now, you could avoid a frustrating, expensive repair in the future. For example, now that winter is long gone, you should wash your car to remove road salt deposits that can eventually cause rust. You may have a hot rod capable of going from 0 to 60 in less than five seconds, but if you continually push the engine, it will experience excessive wear and tear. You should also avoid start-and-stop driving, towing more than the vehicle’s recommended load, excessive speeding, and driving on dirt or gravel roads. Cautious driving keeps the engine in good shape and helps you avoid accidents, which is very important for maintaining a vehicle’s value. Summer is the perfect time to have your car tuned up and prepped for a sale! To set up an appointment, please contact Scott’s Fort Collins Auto & Repair or call us at (970) 682-4202.